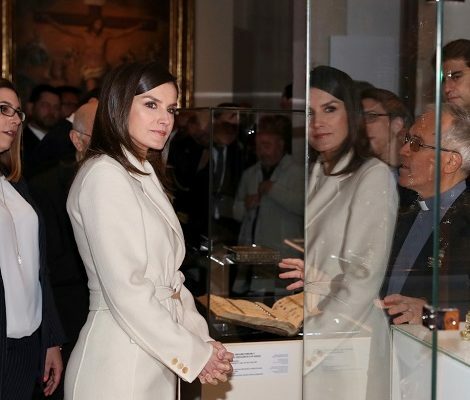 Queen Letizia today attended her first solo royal engagement of the year 2018. She was at headquarters of Fundéu BBVA in Madrid to preside over the ordinary meeting of the Fundéu BBVA Advisory Board. BBVA board is formed by academics and prestigious linguists, journalists and experts in other areas, who advise on the preparation of recommendations to promote the proper use of Spanish in the media. At the working meeting, the members of the Fundéu Advisory Council and the Fundéu team’s specialists from each topic addressed, different words and expressions and their linguistic uses were addressed. For the meeting Queen Letizia chose business ensemble in black and grey. Upon arrival, Queen Letizia was seen wearing a black wool coat to beat the cold. The single-breasted coat features epaulettes, gun flaps, buckle cuff details with a belted waist. It seems a new addition to Queen’s wardrobe and still unidentified. Beneath the coat, the 45-year old Spanish Queen was wearing an elegant Hugo Boss grey suit. Letizia debuted the suit in February last year and wore many times since then. 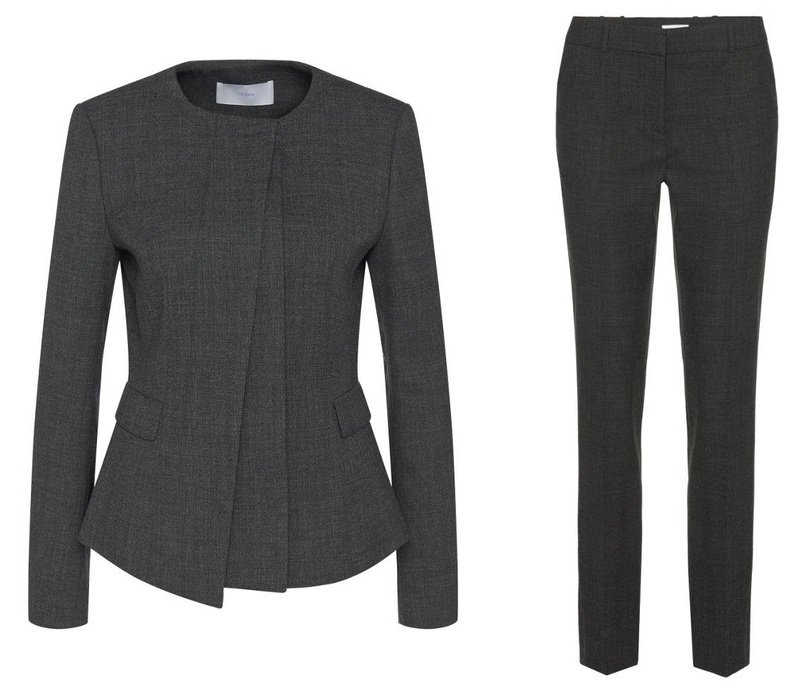 The ensemble consists of the ‘ Jadela ‘ Stretch Virgin Wool Asymmetrical Blazer and the matching ‘Tiluna’ Stretch Virgin Wool Dress Pants. The blazer is currently available in few sizes on 60% discount at Off 5th. Letizia paired the outfit with new ankle boots from Hugo Boss. Black leather ‘Lula’ Ankle boots combines a black woven leather upper with shiny patent leather featuring 9 CM heels. 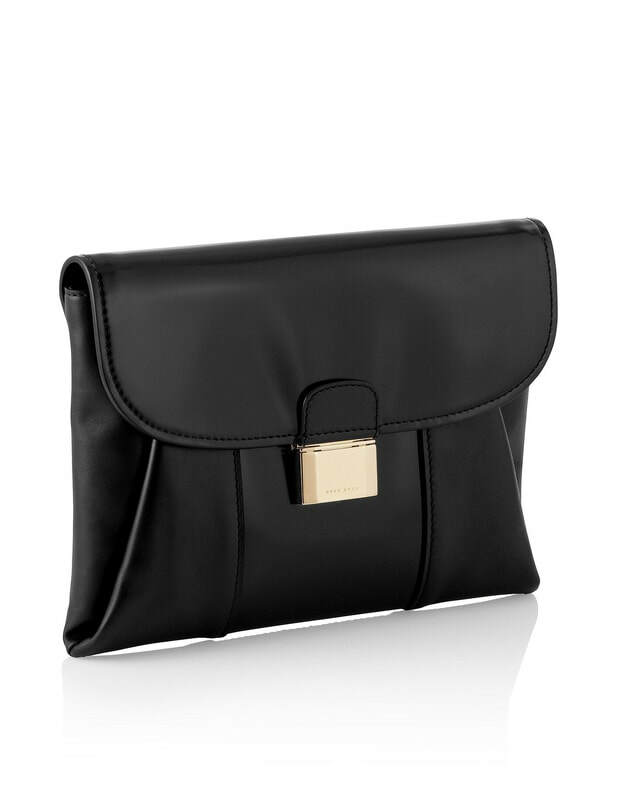 Queen was seen carrying her black Hugo Boss ‘Fanila’ calfskin model clutch. 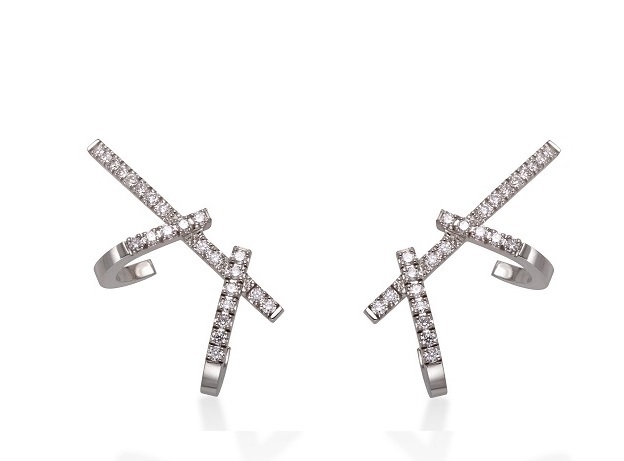 Letizia finished her look with her Gold & Roses Double Dagger Earrings made of white gold and diamonds that are available for €2,125.